It’s important for homeowners to prevent mold in the home and look out for signs of a problem. Symptoms of mold exposure range from asthma to depression. Along with causing health issues, mold can result in substantial property damage. As with many problems in your home, early detection is key. Knowing signs of mold in your home can save you from a bigger and more costly problem in the future. Performing a visual inspection is a great place to start. However, it’s important to check closely because the beginning of a mold infestation may appear to be dirt. Signs of mold in your home should be explored right away to make sure that the problem is addressed before the mold spreads further. The mold you can see may just be the tip of the iceberg, with a bigger infestation that you can’t see. Even a little mold means that the conditions in your home are conducive to mold growth. Trust your nose. For many homeowners, a moldy odor is the first indication of a problem before any visual clues. Mold has a distinctly unpleasant and musty smell and you may even grow used to it over time. This is because mold emits microbial volatile organic compounds (MVOCs) as it consumes material and grows. Since mold can thrive in places that are hard to see, like behind your walls, it’s important to investigate further if you have a musty odor at home. Your home may be causing health problems without you realizing it. One of the first signs of mold in your home is increased allergy symptoms. Are you suffering from congestion, runny nose, sneezing, or itchy and sore eyes? This could be caused by mold. 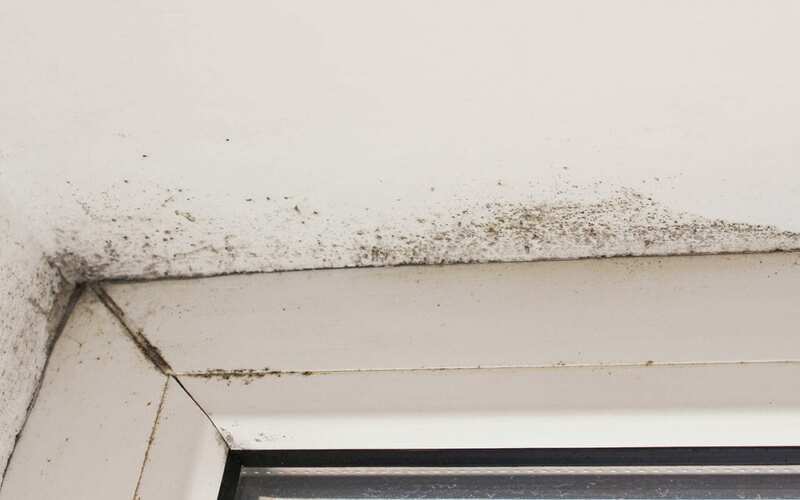 Keep track of when you’re experiencing these symptoms, and if it occurs when you are in your house but not when you’re outside, this can be a sign of mold in the home. Approximately one in three individuals suffer from allergic reactions caused by mold. Mold is responsible for a wide variety of health issues, including chronic fatigue syndrome. If you’ve had flooding and moisture intrusion problems in your home, it’s a safe bet that mold won’t be too far behind. Be proactive. If you’re seeing signs of moisture issues, such as peeling wallpaper, damp surfaces, or water stains, checking for mold should be your next order of business. Mold on your walls can be easily dealt with. If the wall is made of non-porous material, mold can be removed with bleach, vinegar, or other mold killing products. Porous materials present more of a problem. To stop the mold from spreading any further, portions of the wall may need to be cut away and replaced. Mold doesn’t just grow on your walls, it can also thrive behind them and remain undetected for years. Because of this, detection is difficult for many homeowners and more involved methods of inspection and testing are called for. This is why calling a professional is important. When you have an experienced mold inspector on your side, you can trust that they will be thorough and explain the results of your inspection. Esham Inspections provides mold inspections and other inspection services to the Eastern Shore of Maryland and Sussex County, Delaware. Contact us to book an appointment.